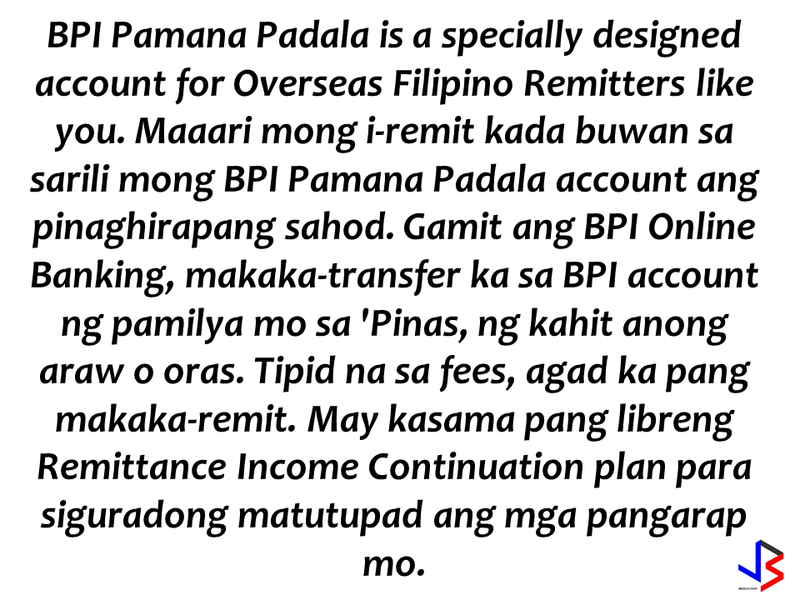 BPI Pamana Padala is a specially designed account for Overseas Filipino Remitters like you. 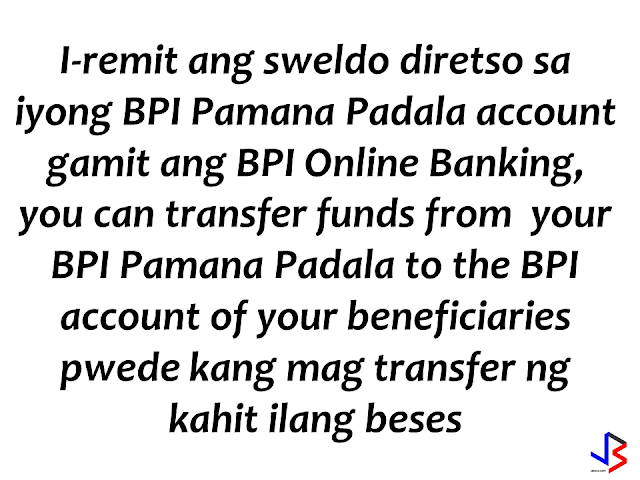 You can remit your hard-earned salary to your own BPI Pamana Padala account every month.You can easily transfer any amount , anytime, anywhere without any hassle to your family's BPI account.You can save on remittance fees because you will be doing a one-time remittance to your own account.It also includes Remittance Income Continuation plan to help you make sure that your dreams will finally come to reality. With BPI Pamana Padala, you can easily transfer your remittance without the hassle of being unable to find a time to rush to the the remittance center to send money.You can do it thru BPI Online Banking service. 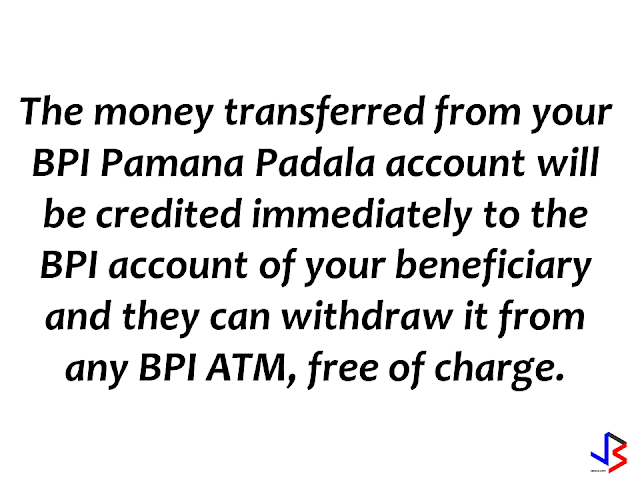 The money transferred from your BPI Pamana Padala account will be credited immediately to the BPI account of your beneficiary and they can withdraw it from any BPI ATM, free of charge. 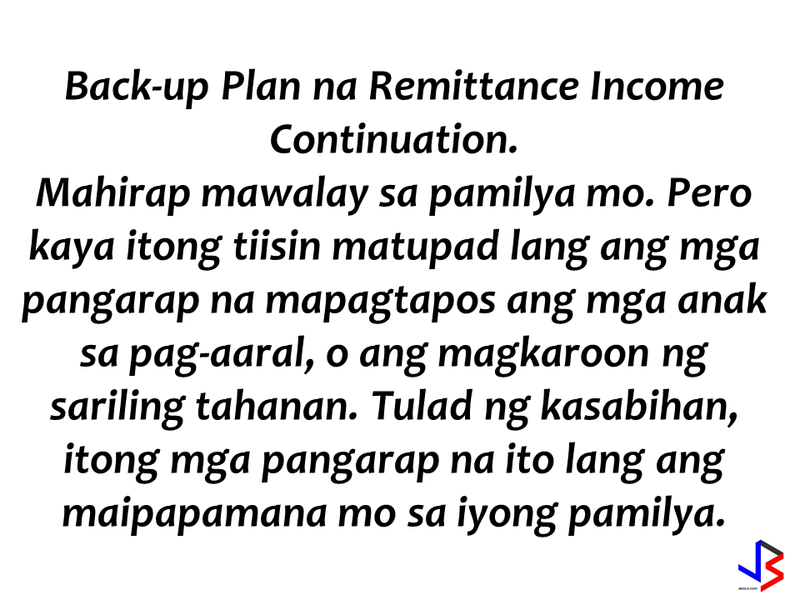 Remittance Income Continuation Back-up Plan. 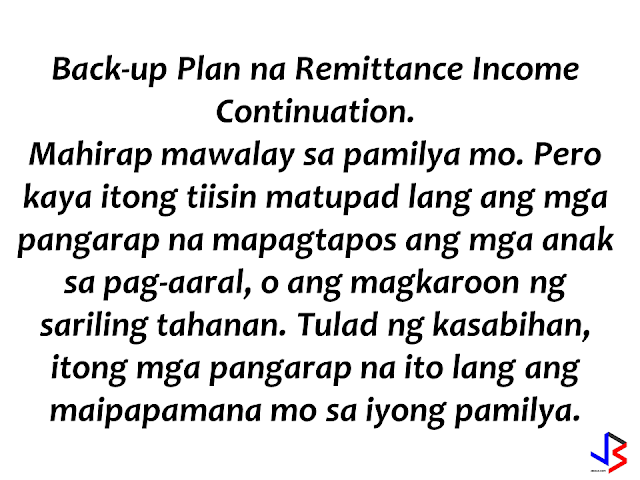 Being miles away from your beloved family is difficult but you can bear anything,endure anything just to fulfill you dreams to have your own house and to send your kids to school. 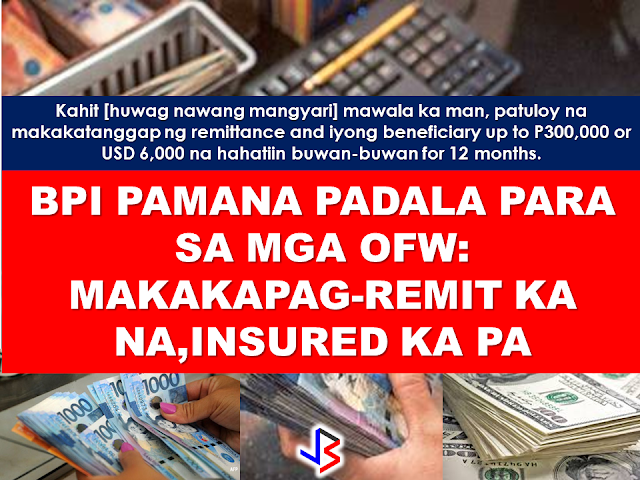 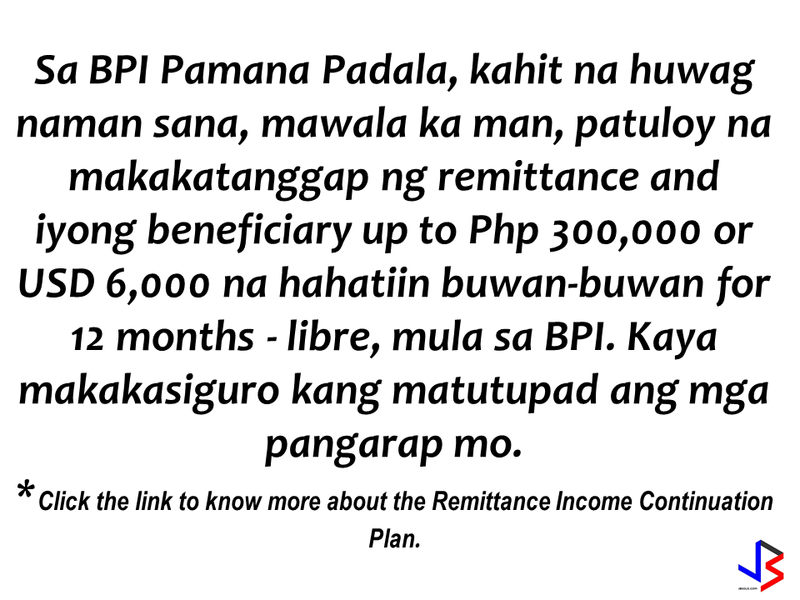 BPI Pamana Padala provides for you if anything untoward happens , your beneficiary will receive P300,000 worth of monthly remittance cascaded into 12 months - free from BPI. 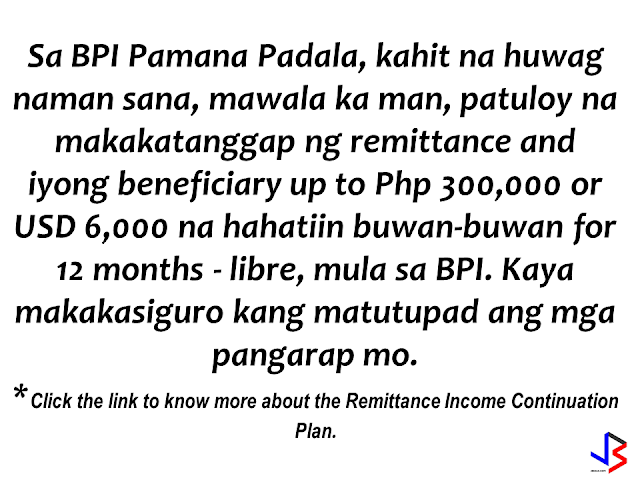 Click the link to know more about the Remittance Income Continuation Plan. 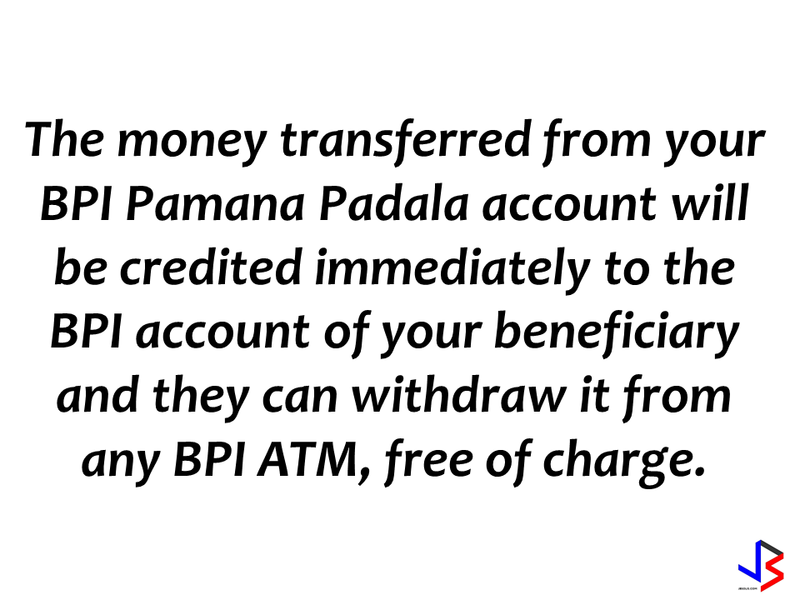 You can open a BPI Pamana Padala for an initial deposit of only Php 500. This product is available in Peso and US Dollar in BPI and Peso in BPI Family Savings Bank. 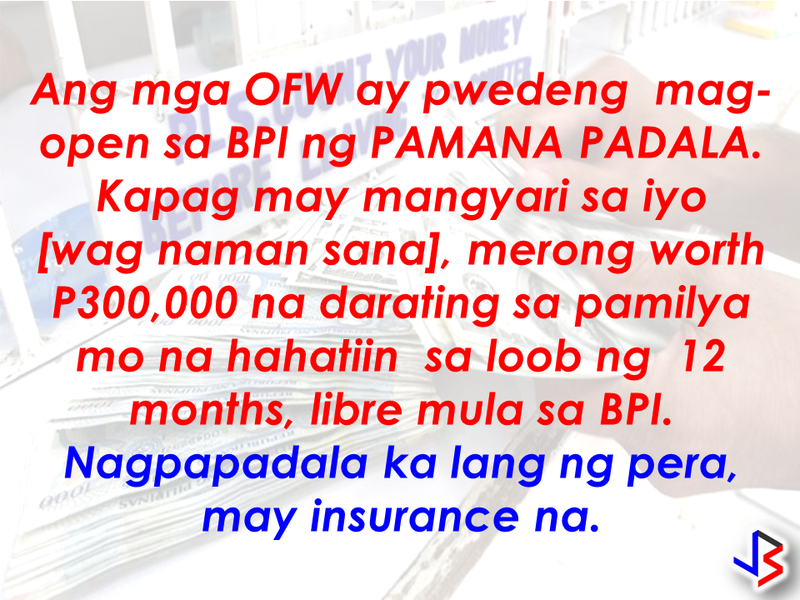 A HERO FIREMAN RISK HIS OWN LIFE TO SAVE A 1-YR OLD KID. 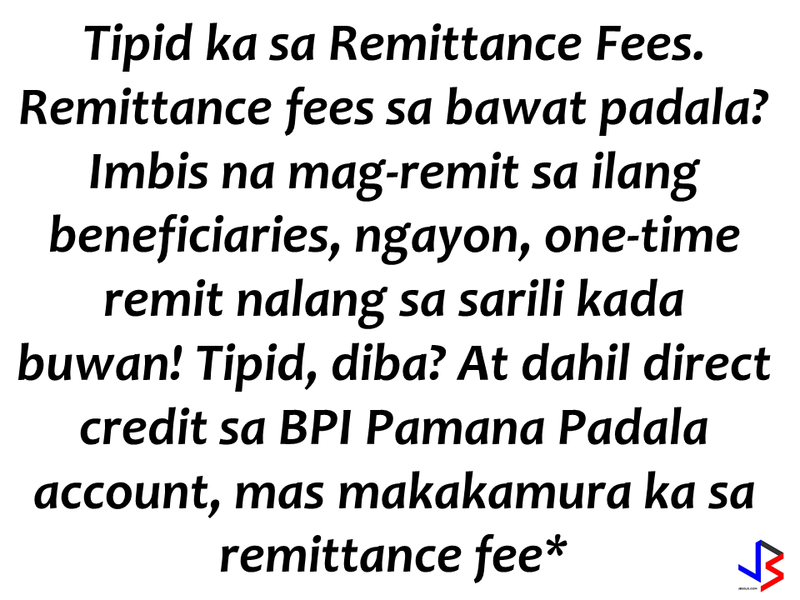 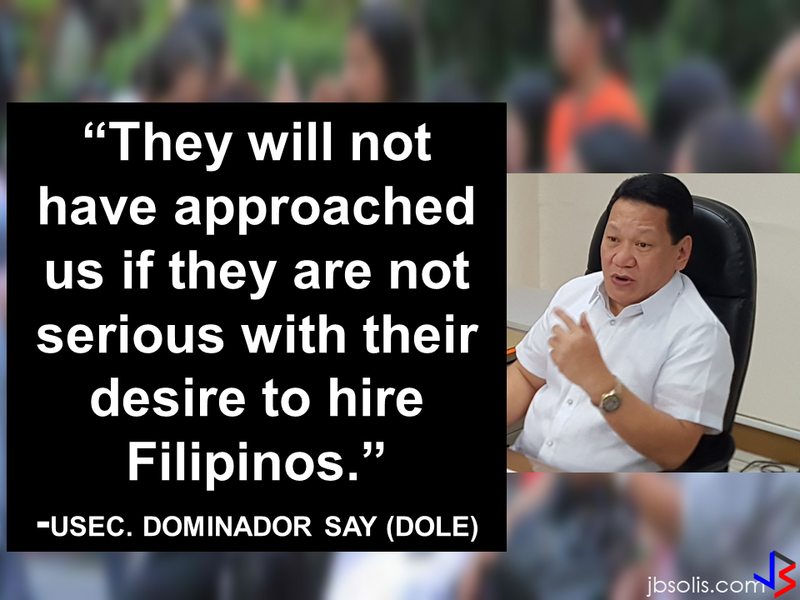 Sa BPI Pamana Padala, may kasamang FREE Remittance Income Continuation para tuloy ang padala, kahit mawala ka man. 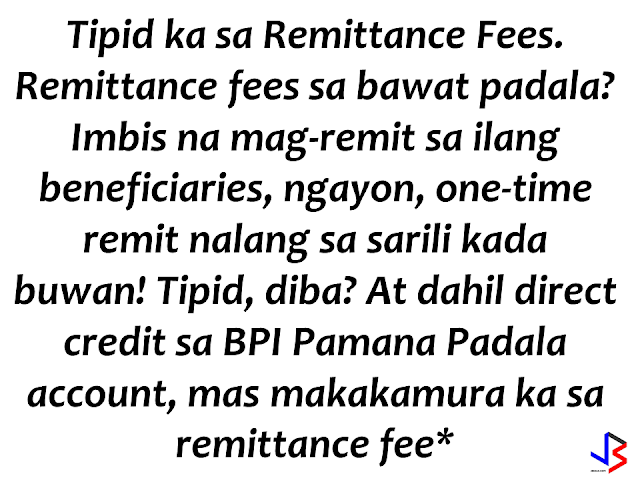 Sa Pamamagitan ng BPI Pamana Padala, nawala man si Reynaldo, patuloy na tatanggap ng remittance ang naiwang pamilya, sagot ng BPI. 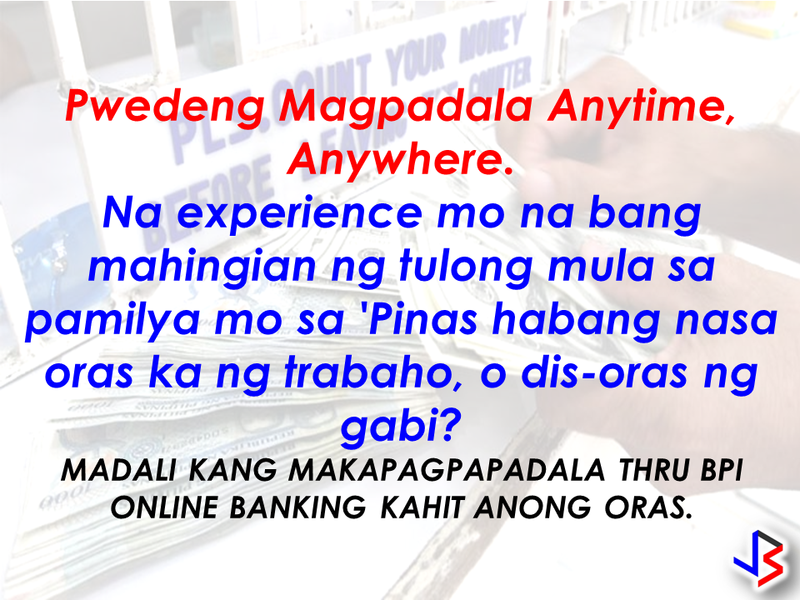 Ito ay para masigurong patuloy na makapag aral ang anak ni Reynaldo, o matulungan ang naulilang pamilya na makapagadjust sa gastusin sa biglaang pagkawala ni Reynaldo. The free Personal Accident and Life Insurance coverage is provided by BPI-Philam Life Assurance Corp., an insurance company governed by the Insurance Commission. 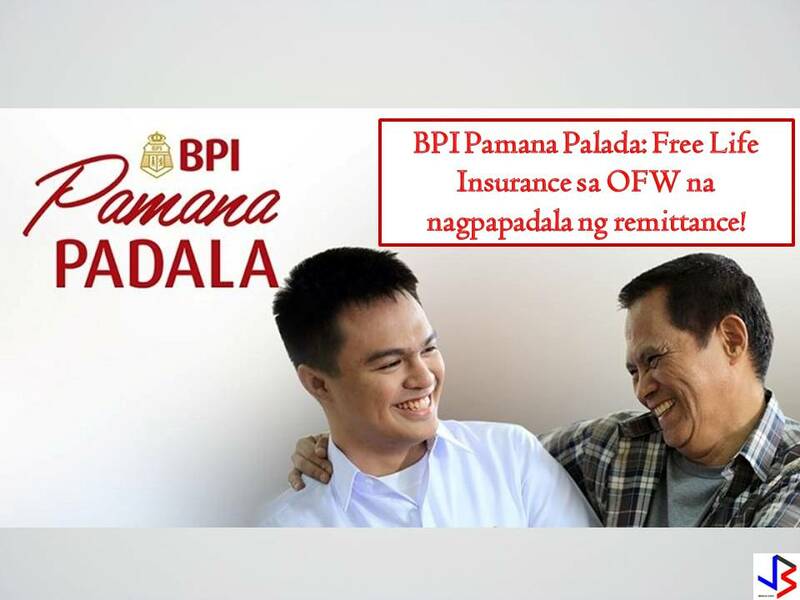 BPI-Philam Life Assurance Corp. is a subsidiary of Philam Life and an affiliate of BPI.